It’s no fun getting your inbox flooded with junk mail or constant phishing messages. 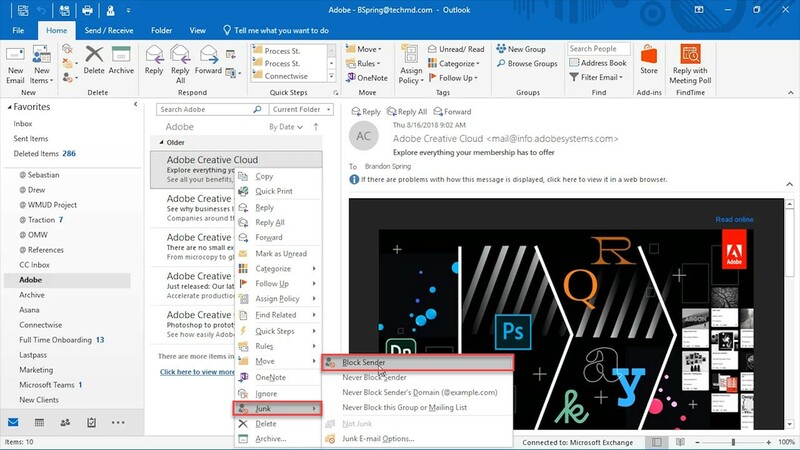 That’s why in this One-Minute Wednesday, we’re going to take a look at blocking certain senders in Outlook. Let’s see how it works! 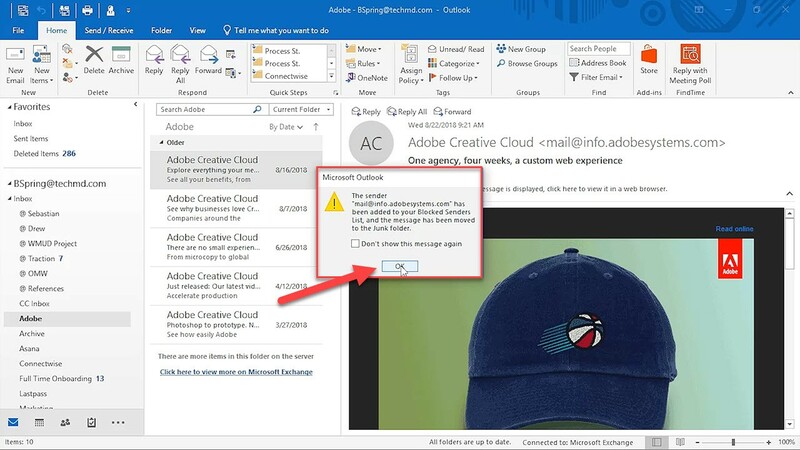 Microsoft Outlook makes blocking senders in Outlook easy. Simply select a message from the sender you wish to block and head to the Home tab. Click the Junk icon and then hit the Block Sender button underneath. 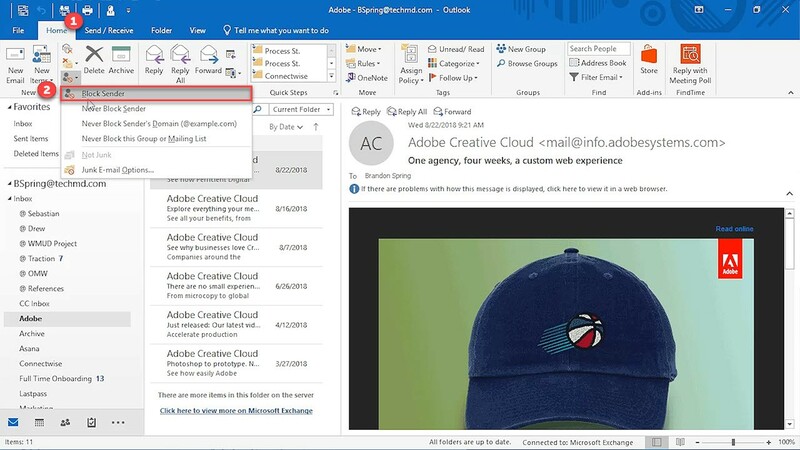 Outlook gives you a notification that this sender is about to be added to your block list; hit Ok.
Now, any messages you receive from that address will be dumped into your junk folder. Just note that by default, all the messages in the junk folder will be deleted in 30 days. 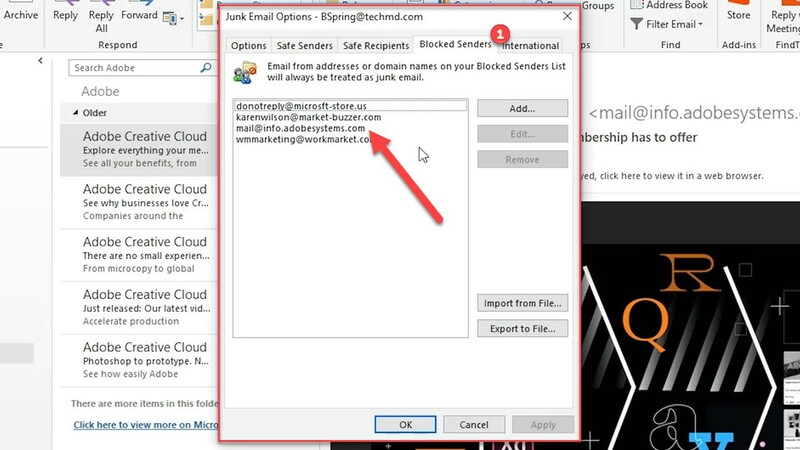 An additional method is to right-click a message, go down to Junk and hit Block Sender, which will block senders. You also have the ability to confirm that a sender’s address is in that blocked sender’s list. You can check this by going back to the Junk menu in the Home tab, and then click Junk Email Options. In the newly opened window, go to the Blocked Senders tab to find all the emails that are blocked there. 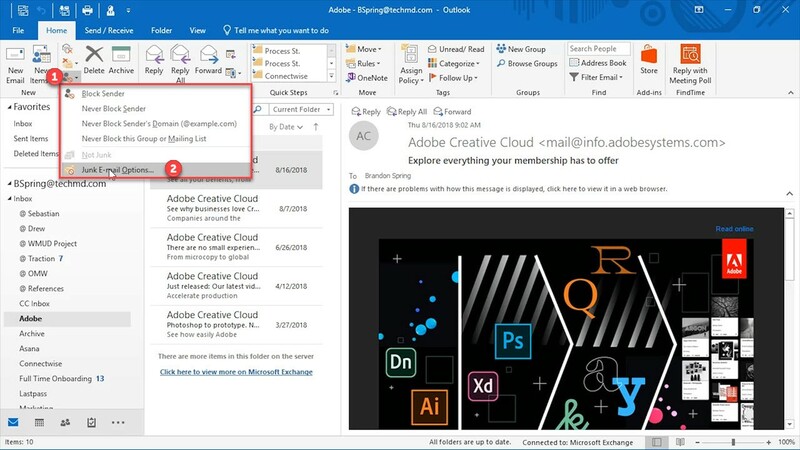 Now, there may be an occasion where you’d like to restore a blocked user to be allowed to send messages to your inbox again. 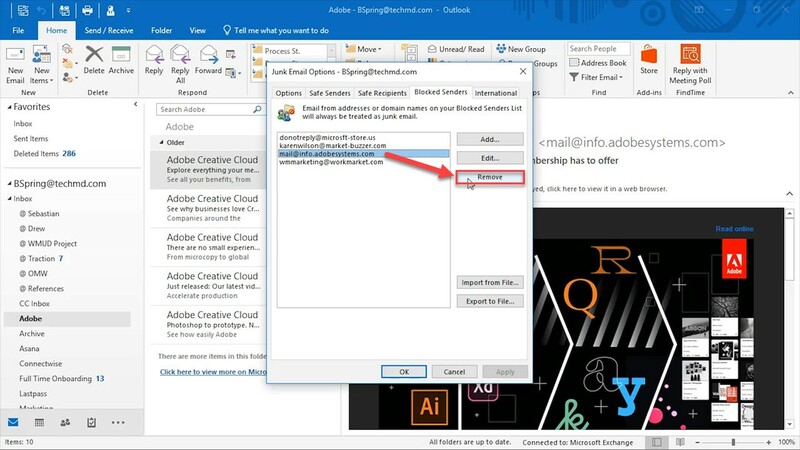 To do this, just open the Junk Email Options menu again and head to the Blocked Senders tab. 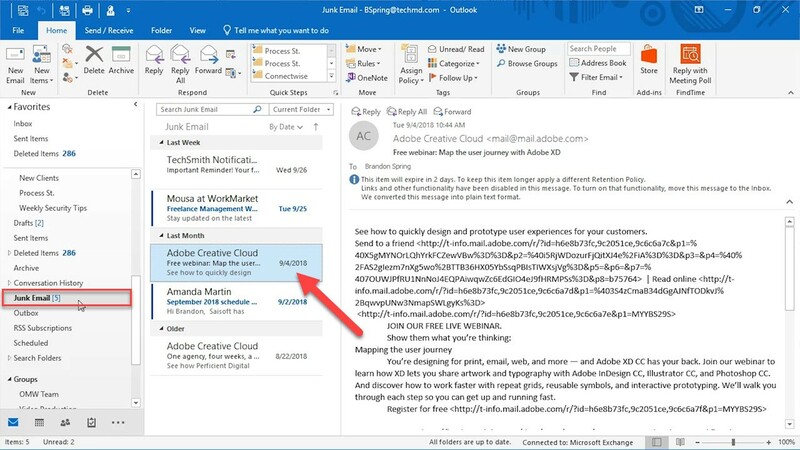 Once you find the desired email address, click it and hit the Remove button. Immediately, messages from that sender will be allowed to enter your inbox again. So that’s how to keep your inbox secure and organized by blocking senders from delivering pesky messages to you inbox. Thanks for joining and be sure to come back next week!